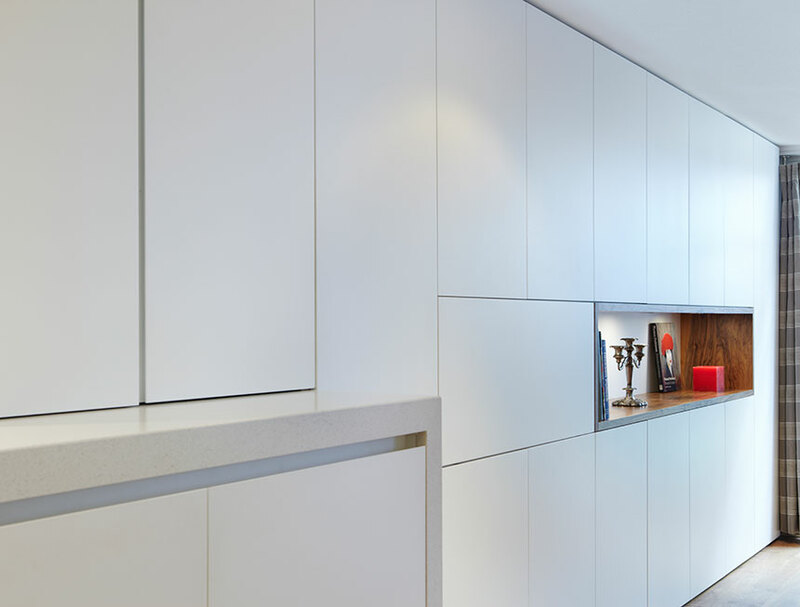 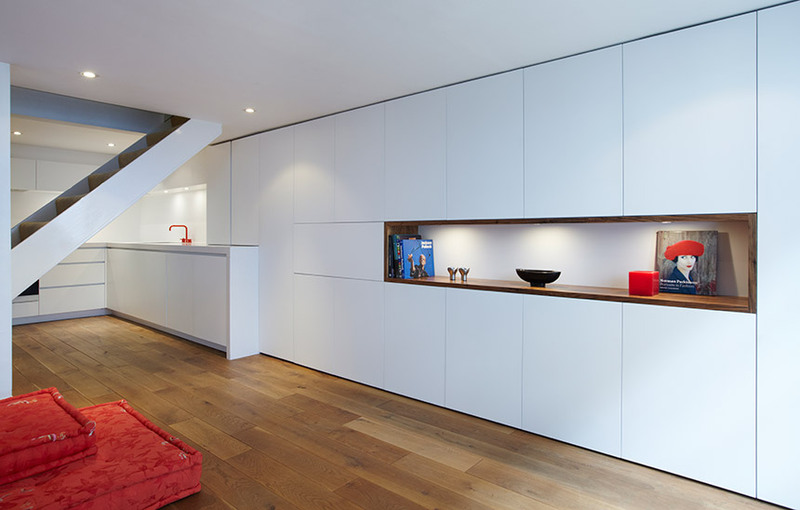 The kitchen cupboards integrate seamlessly with those in the living area. 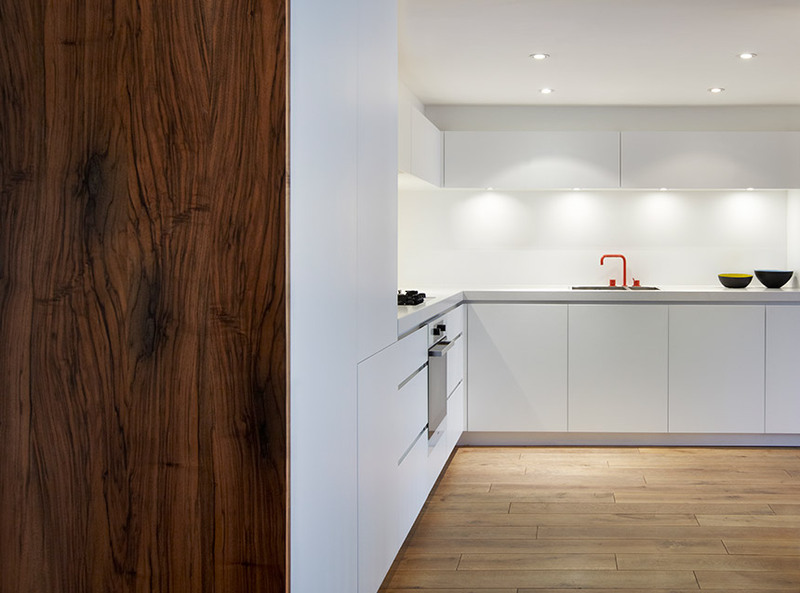 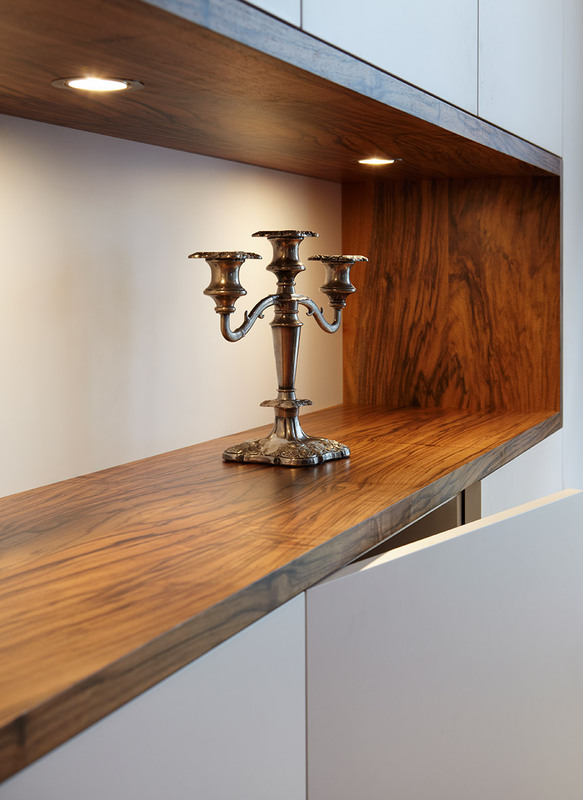 Figured walnut was used to off-set the white matt lacquered units and a red Vola tap was chosen to add impact. 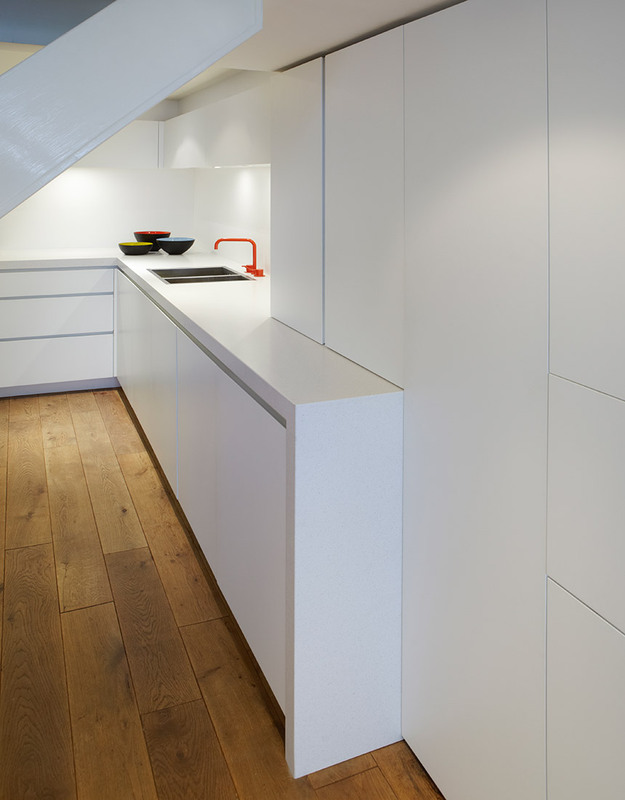 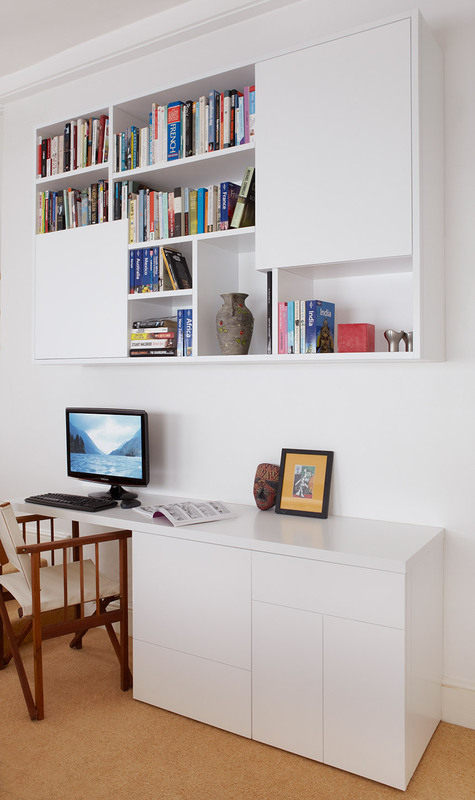 The cupboards incorporated a fold-down desk and slide-to-the-side doors under the stairs where the worktop appliances were kept.